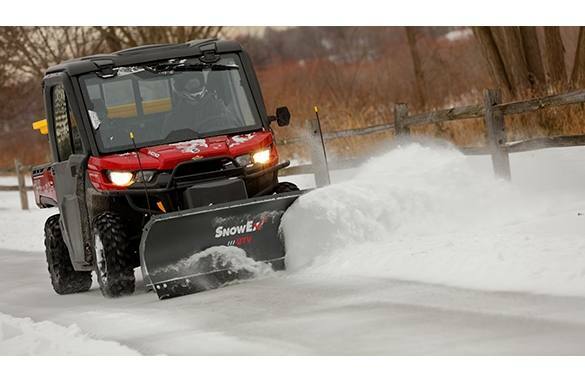 Give your utility vehicle professional-grade plowing performance by adding the SnowEx® UTV Straight Blade. 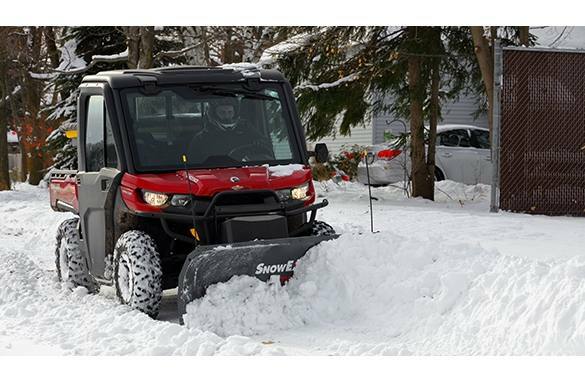 The plow's heavy-duty, yet lightweight design allows it to handle snowbound sidewalks, paved walkways and other tight areas with ease. 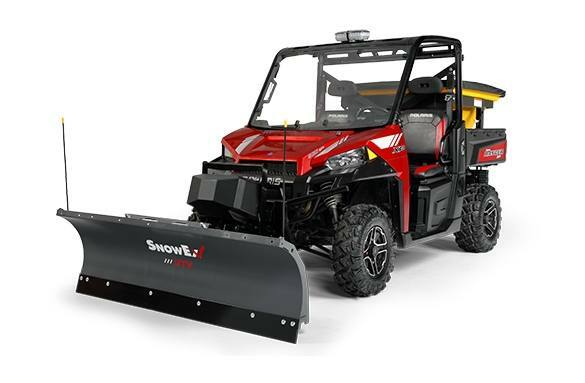 Full-Trip Moldboard: A full-trip moldboard with two coil springs engages when encountering obstacles, helping to protect your UTV, your blade and yourself from sudden, jarring impacts. Vertical Reinforcement Ribs: Four vertical ribs support the back of the blade to add strength and protect against twisting. Lightweight Design: The blade is constructed of high-strength, low alloy steel components that are stronger and lighter than traditional steel. Responsive Direct Lift: Direct lift system gives the plow a responsive full range of motion for efficient stacking and transport. Hand-Held Controls: Choose between the joystick control for easy blade control operation when wearing gloves or the POWER GRIP™ control with backlit buttons. Both feature power “on" and float LEDs and are FLEET FLEX enabled. POWERCOAT Finish: Our POWERCOAT high-performance, multi-stage powder coat system features a tough epoxy primer that delivers added protection and improved coating adhesion to guard against weathering and corrosion. 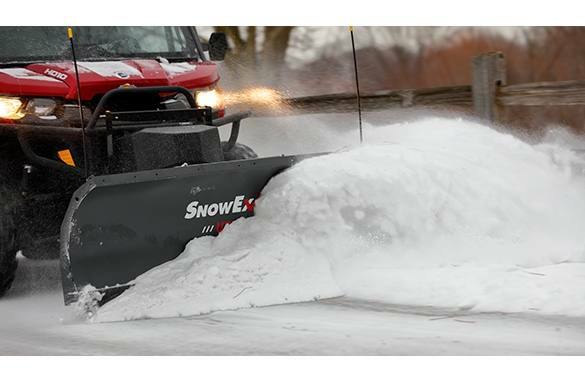 Robotically Welded Headgear: Robotically welded headgear ensures quality and consistency on every SnowEx plow. Deflector Kit: Enhance snow containment, and help prevent it from blowing onto the windshield, with a rubber deflector. Shoe Assembly Kit: The shoe assembly kit lets you set the scraping height of the blade, extending the life of the cutting edge and provides flotation for unpaved conditions. Curb Guards Kit: Curb guards protect the plow cutting edge while running the blade next to curbs. Light Bar Kit: Dual-LED light kit that bolts into existing holes on the plow push bar. Not rated for road use. Poly Cutting Edges Kit: Protect sensitive pavement and delicate surfaces with a set of poly cutting edges.